This Q&A is brought to you by Fundraiser For The Fallen - Support Our Heroes. Q - How's business been? Is production expanding? A - Business is growing every month and we are having to brew a lot more now to keep up with demand. We are in 30 or so bars and restaurants and now are starting to get our bottles in stores. 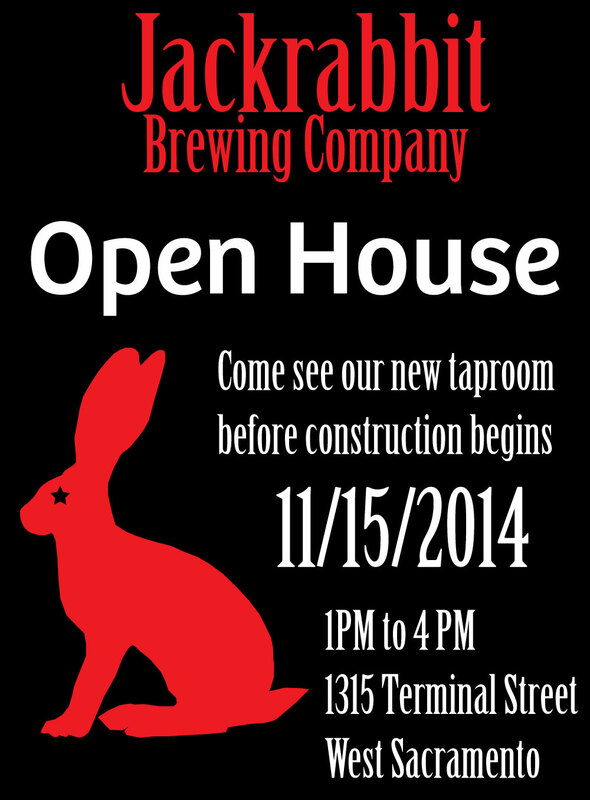 Q - How will a tap room enhance Jackrabbit Brewing Co.? A - People will have a chance to try a greater variety of the specialty Belgian, German, and English styled beers that we make, since we will have 10 taps and other varieties in bottles. Also, we are in walking distance to Yolo Brewing and Bike Dog Brewing, so we will be contributing to the regions first cluster of small breweries, where someone can literally park their bike or car and hit up three breweries. We hope the taproom will help spread the word about our beer and be a fun place for people to relax, hang out with friends, and try some good beer. Q - When are you planning on breaking ground on the taproom? A - Building permits are in process right now, so hopefully construction will start within a month. Q - When is the projected completion date? A - It's hard to predict because permit complications and construction delays can really alter your plans; however, my guess is mid-January to mid-February. Q - How many taps do you plan on having? A - We will have 10 taps to start with, and add more if there is demand for more variety. 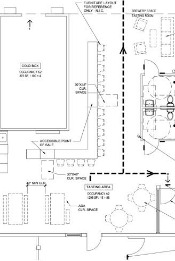 Q - What's the square footage of the planned taproom? A - Approximately 1,300 sf. The total brewery will now be around 5,000 sf, which is a big expansion from the 1,500 sf we started with. Q - What's going to make your taproom different from other taprooms in the city? A - Besides the obligatory Jackrabbit petting zoo, we plan to have a corner of the taproom with a nintendo/super-nintendo so people can test their skills at classic video games. Free beer to anyone who can beat me at the original Mortal Kombat. Q - Tell me about the event that your having this weekend? A - We are opening up our existing brewery and the new taproom space (right next door) to the public between 1-4pm on Saturday, November 15th. We will have some free samples of beer, in case you are thirsty. People can tour our existing brewery facility and the new space will be open with the layout of the taproom shown on the floor. Also, guests can sign up for our growler club (we are limiting it to 60 members) and get weekly or bi-weekly fills at a big discount per pint. Jackrabbit Brewing Co. is located at 1315 Terminal Street, West Sacramento, CA 95691.